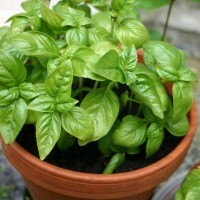 I am happy to say I have a nice variety of herbs – basil, parsley, and cilantro growing on my deck. My neighbor gave me a couple of roma tomato plants, I bought another, and at church there was one on the produce table in the gathering space. In the fall the produce table has yummy tomatoes and cucumbers, and even egg plant, but I digress. I really miss having a garden space and having a real garden. I love radishes and have tried planting them in containers, but sadly I have not been successful. I did plant some lettuce seeds and they are just starting to peer out of the ground. I might try planting some peas just for fun. I might even share some pictures when there are blossoms on the plants. Happy Gardening! 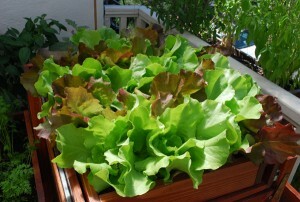 Disclaimer: No this is not a picture of the lettuce I planted. I hope it will look like that soon.